Upon entering the office, our receptionist will welcome you and request that you complete our new patient forms. This paperwork provides us with your health history and information on your condition. Your first visit requires approximately 60-90 minutes of your time. Please click on the links below to print some of our paperwork in advance to save time. Next, you will have a consultation with Dr. Jarek Esarco to discuss your health-related problems, concerns, and potential care options. 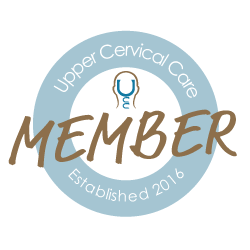 This initial visit is designed for Dr. Jarek Esarco to learn more about you, your condition, and expectations to determine how Upper Cervical Specific Chiropractic care can meet your goals. Any previous test results and medical records will also be reviewed. After your consultation, Dr. Jarek Esarco will perform a complete Chiropractic examination. Most importantly, Dr. Jarek will perform a thorough nerve system study using the K4 nerve system analyzer. With this instrument, we are looking to uncover the cause of your health concerns. Other standard neurological, orthopedic, postural, and physical tests might be performed as well. Dr. Jarek will review your exam findings and determine if specific X-ray films are necessary at this time. Depending on your specific condition, we will take state of the art laser aligned X-rays. X-rays help us identify the upper cervical misalignment and develop the appropriate correction to make and the most effective care plan for you. Dr. Jarek will then review your exam findings, study your x-rays and create a doctor's report specifically for you that will be outlined. After reviewing your health history, goals, and examining your spine and X-rays, Dr. Jarek will discuss recommendations and notify you if your condition requires care with other providers. This will include an upper cervical specific adjustment. Dr. Jarek Esarco will provide the best care and wellness program for your needs. The HIO Specific Adjustment is unique and singular to the chiropractic profession. 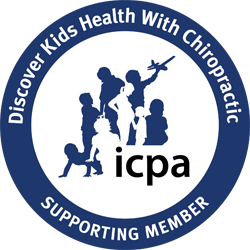 Chiropractors are the only healthcare professional trained to locate, analyze and adjust vertebral subluxations. An adjustment involves a quick, light and specific force applied to the misaligned vertebrae that is producing the brainstem pressure. The inborn adaptive response of the body to that force then makes a specific repositioning of the vertebrae to its correct position, removing the brainstem pressure interference. At the conclusion of the doctor's report, you can choose to take part in a care plan with us. The care plan here is a team effort, so please express any concerns about the care at anytime. If you desire, Dr. Jarek will work with you to create healthy habits and routines for your lifestyle.